Wayne Mapp, a former National Party Minister of Defense, published a sensible and mildly cautionary article in the September/October 2018 issue of the house journal of the NZ Institute of International Affairs, the NZ International Review. 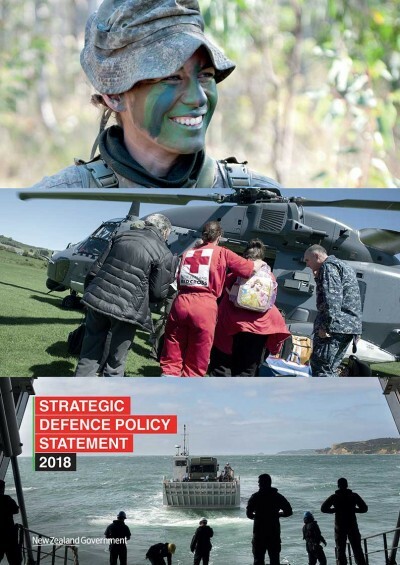 The former minister was writing about the Strategic Defence Policy Statement 2018 recently released by the new coalition government as an update of the two Defence White Papers produced by the previous National governments in 2010 and 2016. The writer confirms that the Statement continues with its advocacy of pursuit of ‘the rules based order’ which has been the cornerstone on which, seemingly, all NZ defence policy has been based since WWII. However, he describes nuanced changes which are apparent. The Statement, despite careful wording, seems to move NZ’s policy further into the US/Australia, former ANZUS, relationship and so far away from its prior, posture of semi-neutrality as to have engendered diplomatic protests from NZ’s major trading partner, China. 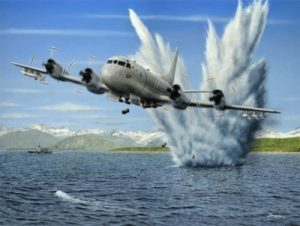 The fact that a couple of days after the release of the Statement, the Ministry of Defence announced its decision to purchase four, Lockheed P3-Orion maritime reconnaissance aircraft for US$2.3 billion and that these aircraft would be weaponised so as to be able to indulge in anti-submarine warfare, must have rubbed salt into the Chinese wound. 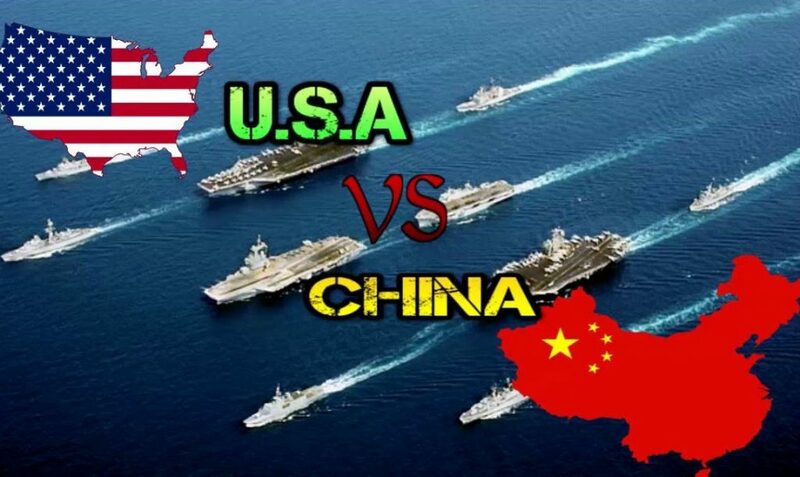 The sole feasible deployment for such a capability would be to be integrated into and defend the battle-fleets of the USA and Australia from attack by Chinese submarines, should ever the aggressive defence/containment policies of NZ’s two “natural allies” result in an outbreak of hostilities. In effect, the new coalition government’s Statement has the NZ taxpayer dishing out a vast sum of money in preparation for a war against China. There has been virtually no democratic debate in either parliament or in public fora before this extraordinarily significant decision (at least, from the point of view of the citizens of NZ) was announced to the world. Wayne Mapp goes on to point out that the production of the Statement appears to have been left largely in the hands of the Minister of Foreign Affairs, Winston Peters, and his inexperienced Minister of Defence, Ron Mark. As he points out, these two key and closely related portfolios have both been entrusted to NZ First, a minority party in the Labour led coalition. NZ First, as its chauvinistic choice of name would indicate, is considerably to the right of its Labour and Green coalition partners – and in some respects, even to the right of the National Party. This subtle change of emphasis in NZ’s defence policy appears to have happened without drawing undue attention from the Labour Party caucus, even though the new direction would not appear to be in line with Labour’s generally internationalist and left-leaning agenda. Nor would it be acceptable to the majority of those NZ academics, who know what they are talking about, but remain outside the tight circle of their ‘defence-oriented’ colleagues, who make their living by writing in support of the tight clique of those, who have made their careers in the defence forces. This latter group of senior officers and intelligence personnel, serving and retired, naturally tend to regard an ever closer association with the USA as their guarantee of job-security and access to all the most fun military hardware. The problem would seem to be that defence is a specialist area. It is easy for those with no particular interest in it, who might even regard it as an unsavoury occupation, to hand over such responsibility to those who enjoy that sort of thing. In addressing the wider context of NZ interests the document stresses the crucial importance of an international rules based order (in its 39 pages there are 33 such references) and the responsibility of the New Zealand Defence Force and security/intelligence community to strive to ensure the integrity of that order. Concern for rules-based order has of course traditionally been a first care of foreign policy advisers and the new statement gives a nod to NZ’s independent foreign policy. But it reflects more significantly the way in which national security agencies of New Zealand’s traditional partners now prioritise oversight of rules-based order as justification for their own international relations primacy, and for enhanced military and security capability to confront perceived threats. (my emphasis) Is NZ now on the same pathway? There seems to be a remarkably low threshold for a NZ MP to qualify as an ‘expert’ in defence matters. Even the most remote military experience, no matter how lowly, seems to suffice. For instance, the National Party’s current spokesman on defence and its former Minister of Defence is Mark Mitchell, a very amiable man, deemed qualified by his previous experience as a police dog-handler and by time spent in Iraq as a volunteer, private security contractor to the US forces, immediately after they had invaded that country. What could there be that he doesn’t know about national defence and global risk assessment? 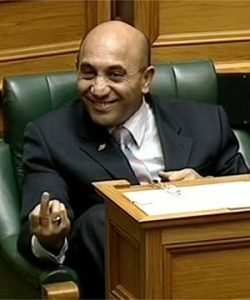 The Honourable Ron Mark, NZ’s Minister of Defence. This so-called ‘rules-based’ order has long provided a hidey-hole for the mundane minds of NZ Defence Ministers and those of their advisers, whom it hurts to think. No one seems prepared to question the long-established, rules-based status quo, the direction in which it is heading, or why New Zealand should be so eager to spring to its defence. There seems to be little attempt to reassess and make appropriate adjustments to New Zealand’s relationship with other players, both in and outside the western mainstream of what has become a highly dynamic and fluid international system. As readers on my blog will know, the current ‘rules-based’ system is based on the simple premise that it is the USA that rules. Up to a point (sometime in the 1970s?) this might have been justifiable, but with the recently increasingly, open contempt for and denigration of international law, demonstrated by successive US presidents, it is become clear that the rules NZ is being asked to defend are little more than the arbitrary expressions of US self-interest. These ‘rules’ seem ever more likely to drag NZ into wars in which it has not the least national interest in fighting. When the first new Orion drops the first torpedo or depth charge on a Chinese submarine, as far as NZ’s economy, and possibly its liberty go, it will be all over for Wal Footrot and his Dog. Can no NZ MPs see that they are being frog-marched down a procurement path, which will make NZ’s survival of any future wide-scale military conflict extremely problematical? If you were driving into a road-block set up by a heavily armed SWAT team, would you feel more secure with a bunch of flowers, or with a loaded assault rifle in your passenger seat? By its decision to purchase these Orions and integrate with the US and Australian naval offensive posture, NZ will have signed away its freedom of action and resilience in the increasingly likely event of a military crisis in the US/Chinese relationship. This entry was posted in NZ Politics, West v East and tagged NZ International Review, NZ New ANZUS, NZ Rules-Based system, NZ war with China, NZIIA, P3-Orion purchase, Ron Mark, Terence O'Brien, Wayne Mapp.